Your guests are sure to be dazzled by the personal touch you put on your wedding, shower, anniversary or any other special event with these bottle stopper favors. 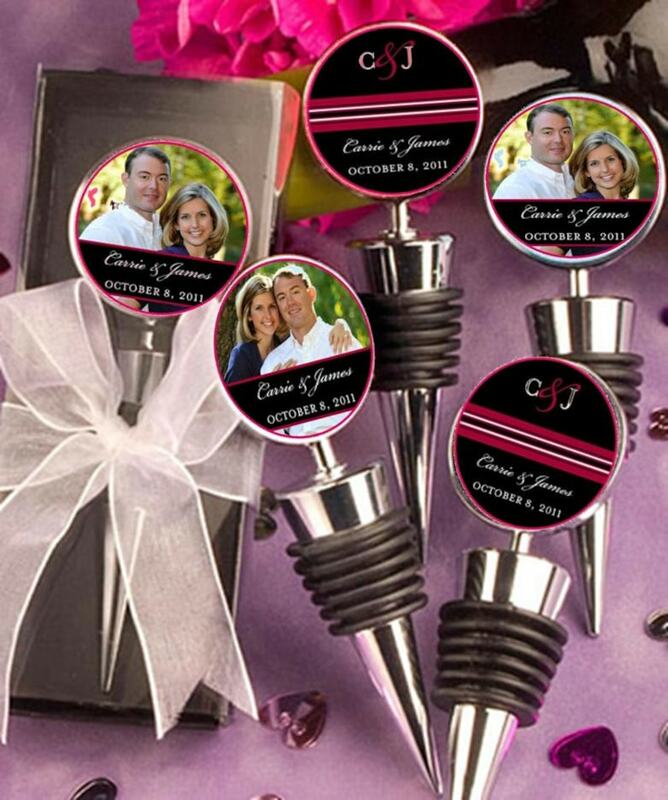 Each Personalized Wine Bottle Topper measures 3 ¾ x 1” and is made of silver metal with a black-rubber-gasket-wrapped conical base and a round metal disk top. Choose a personal photo or let us help you design a custom image. These stoppers are one sided. The back side can be personalized as well for an additional charge. Images showing more than 1 design are illustrating the possibility of multiple designs. you can choose up to 3 different images in your large order. Orders under 20 can each use a unique design.